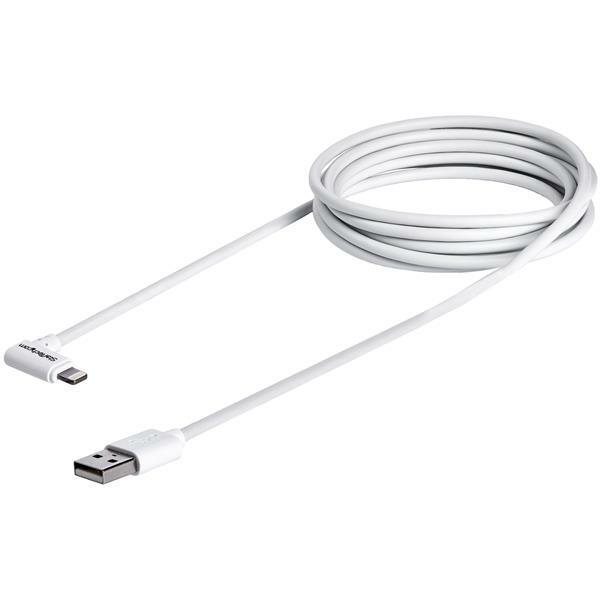 This 2-meter (6-foot) angled Lightning cable is great for connecting your mounted mobile devices. You can position it as needed to accommodate your fixed-in-place iPad or iPhone. 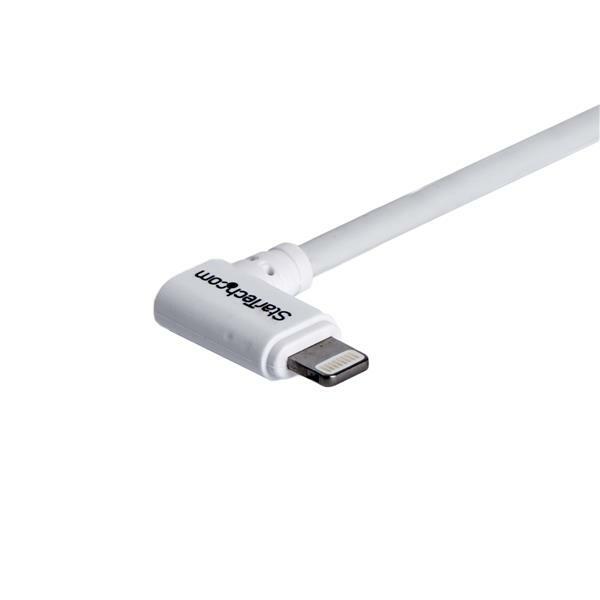 At two meters (six feet) in length, this convenient cable provides full charging power even at a longer connection distance than most. So, you won’t have to endure slow charge times, even when your iPad or iPhone is mounted to a desk, a wall or in your car. The angled connector positions the cable in such a way that it’s easy to access your iPad or iPhone in either portrait or landscape mode, even while charging. 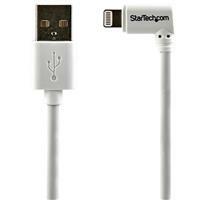 Now, you can text, work or game without the cable getting in the way. 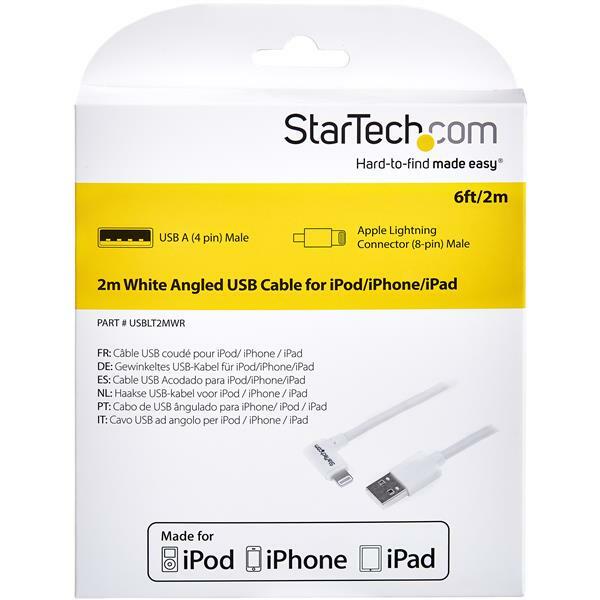 The USBLT2MWR Lightning cable is Apple MFi certified and backed by StarTech.com’s 2-year warranty. 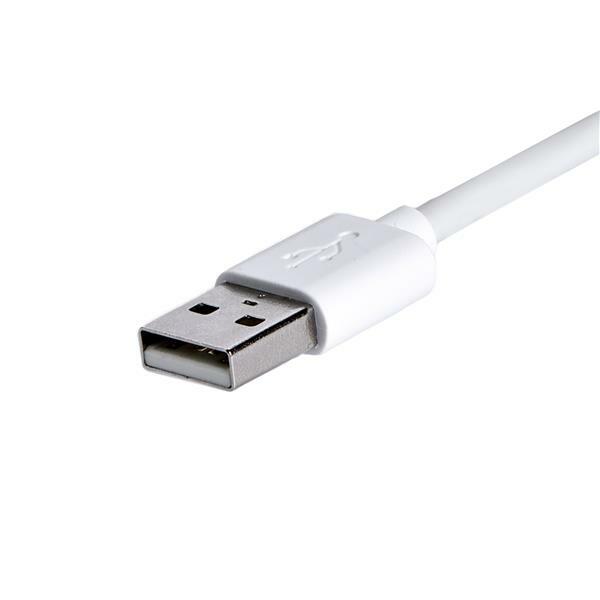 The 'angled' end of the cable is on the lightening-end of the cable. What we need is to have the angle on the USB end! !